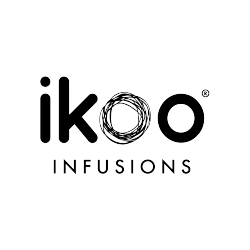 Ikoo created a new amazing Style Assistant Spray that helps you to create a perfect styling. 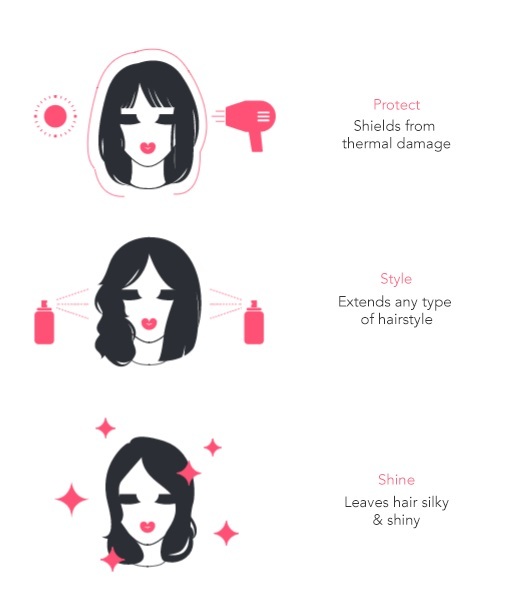 It will also protect your hair and take care of it. When you are styling your hair you need to use heat to get the effect you want, no matter if you are just drying it, you create curls or you are straightening your hair. The Style Assistant Spray offers the optimal preparation for your hair when you want to use warm tools. The hair remains strong and shiny, and does not dry out. Your styling will last longer and you will have more pleasure with your look. The Style Assistant Spray contains a lot of care components, which support the structure of your hair. These are natural extracts, as for example moisturizing Argan oil, which strengthen your hair. The structure of your hair will become better and so you will not have to complain split ends as much as before. Argan oil is only one of the increment on the Style Assistant Spray. Others are Jojoba, provitamin A and vitamin E which protect and care your hair, and help you to get the best styling for your hair. 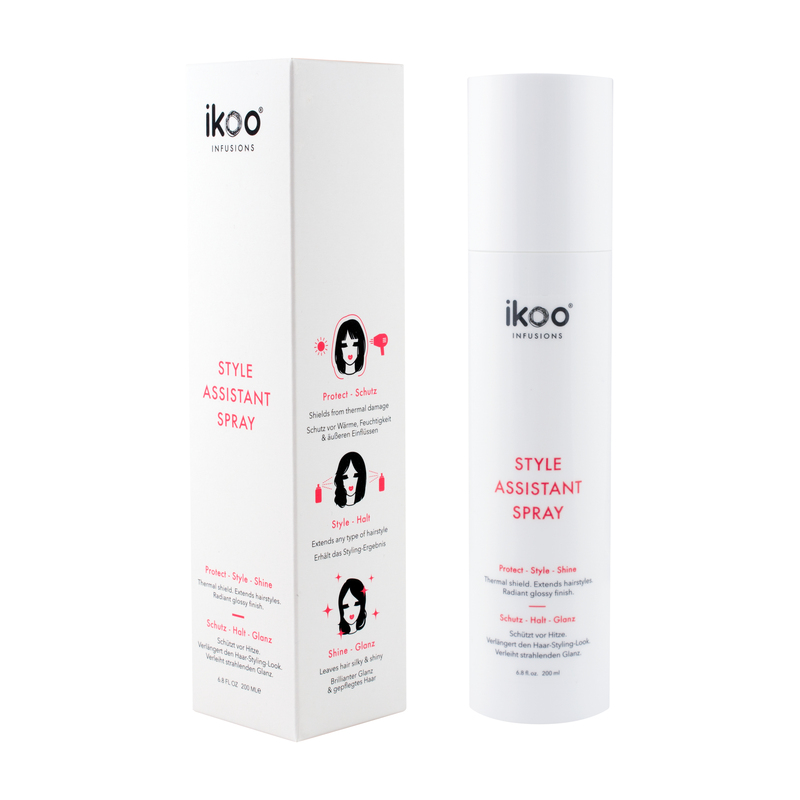 With our new ikoo style assistant spray, styling will become more easy and secure. The danger of damaged, dry hair, only because of the use of heat styling tools is minimized. Your hair structure will become more and more better. The spray should be used in dry hair. Creating a lasting professional styling has never been that easy! 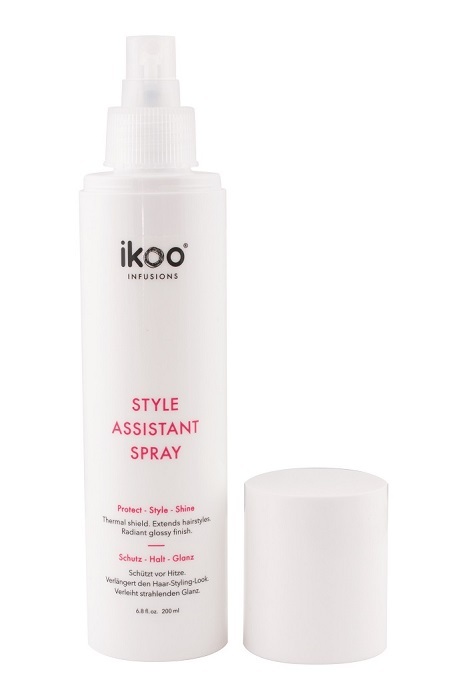 Our innovative style assistant spray is available right now – try it out!